I was so excited when Allie & Jeff secured me for their June 2019 wedding! Jeff's sister is Melissa from Melissa Anne Floral Co., one of my friends and colleagues, so she put in a good word to help seal the deal! In addition to standing, Melissa will also be doing all of their floral, and I can't wait to see what she comes up with! She truly has an eye and talent for swoon worthy arrangements. And if that's not exciting enough, they're also getting married at Mayflower Church, where I happened to attend pre-school for two years! Yes, all the nostalgia. Jeff & Allie are both teachers living in Arizona currently, but have roots in Michigan which is where they decided to make this whole love thing official. 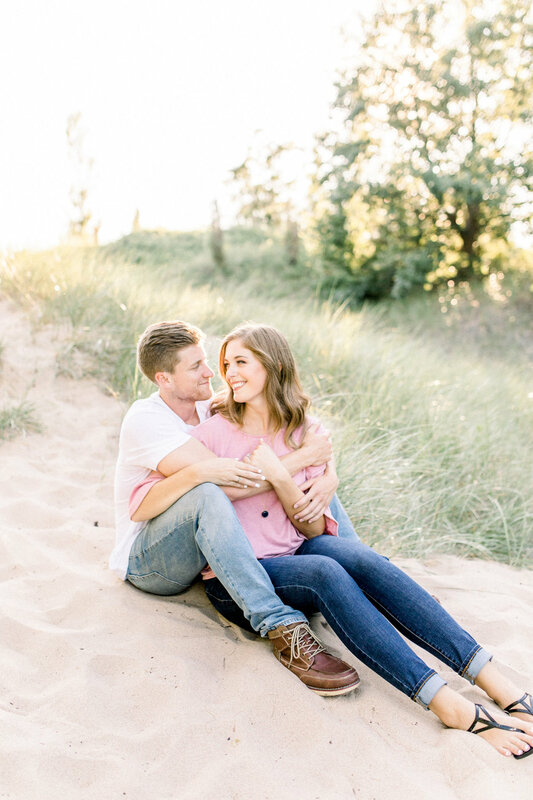 When they were in town visiting family, we met right on Lake Michigan in West Olive for their beautiful and (very) sunny engagement session - that they nailed as you can see! 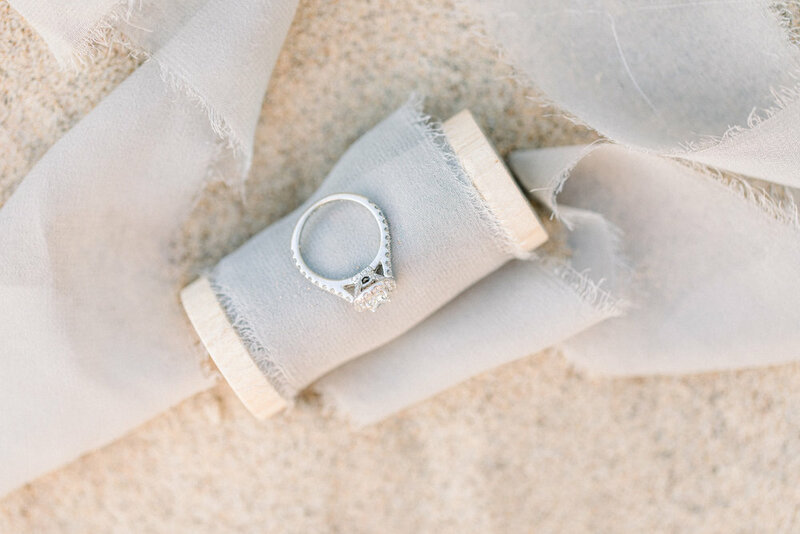 I am falling more and more in love with engagements and weddings with each new couple that I meet. I swear I get to work with some of the BEST out there, and these guys are no exception! Enjoy all the beauty that is Allie & Jeff!